From Muju Bus Terminal, take a bus heading towards Gucheon-dong. 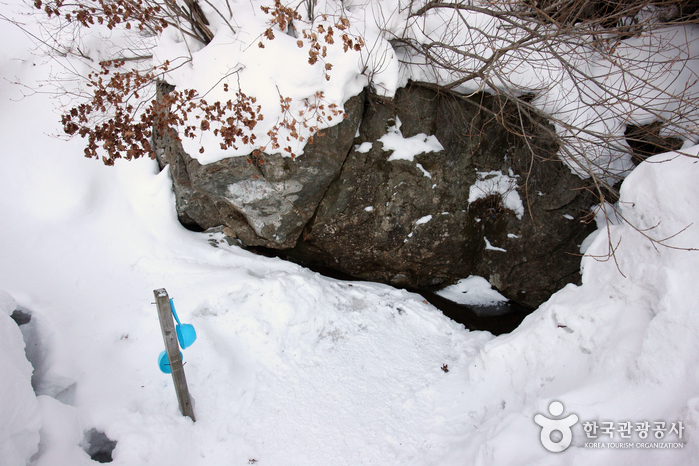 Get off at the Gucheondong Samgong Parking Lot (구천동 삼공주차장). 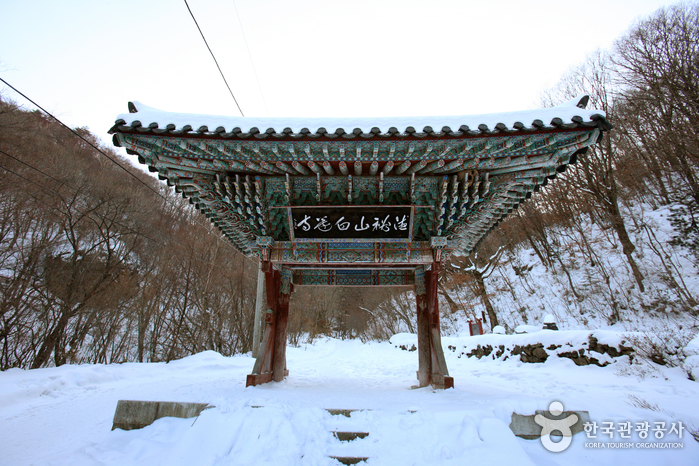 Baengnyeonsa Temple is located in the upper part of Gucheondong Valley on Deogyusan Mountain. 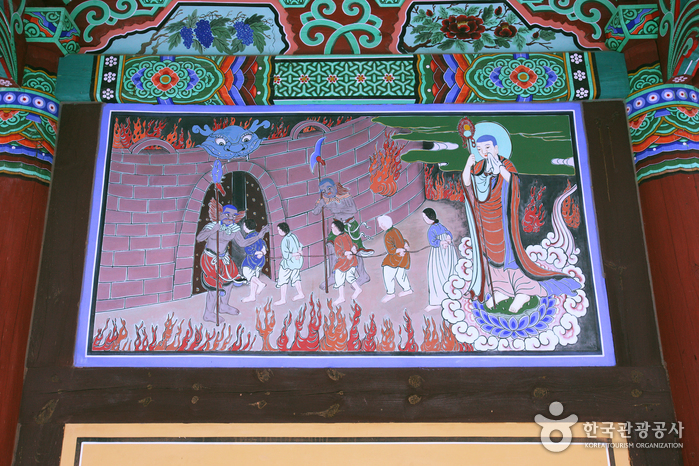 It is said that during the Silla Kingdom, a white lotus flower bloomed here, and that's why the temple is called Baengnyeonsa. 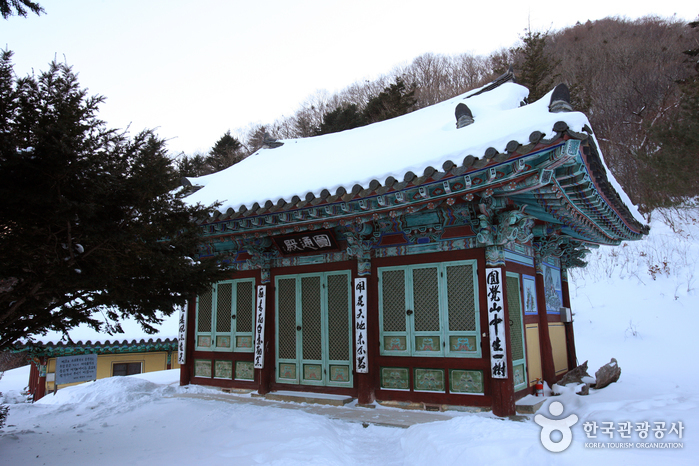 Baengnyeonsa Temple is surrounded by Deogyusan Mountain and is a very elegant and quiet temple. 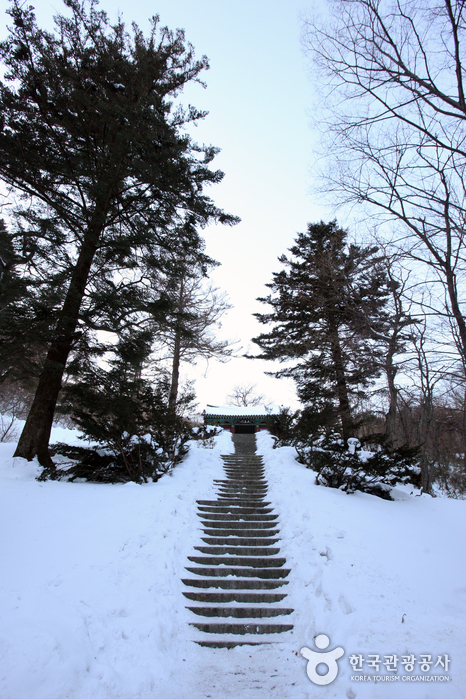 After walking over the Baengnyeon Bridge at the entrance of the temple, you will come to a stone stairway. At the top is the main sanctuary. The majesty and beauty of the main sanctuary is well complemented by the mountains. 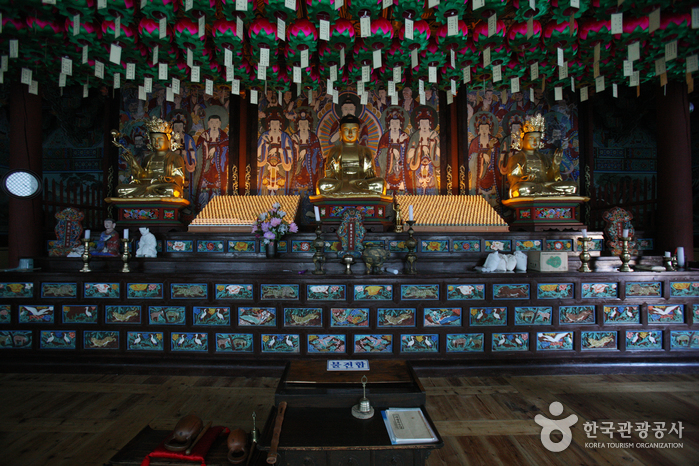 The Mokjosamjonbul Stone Buddha within the main building is presumed to have been built in the latter half of the Joseon Dynasty. 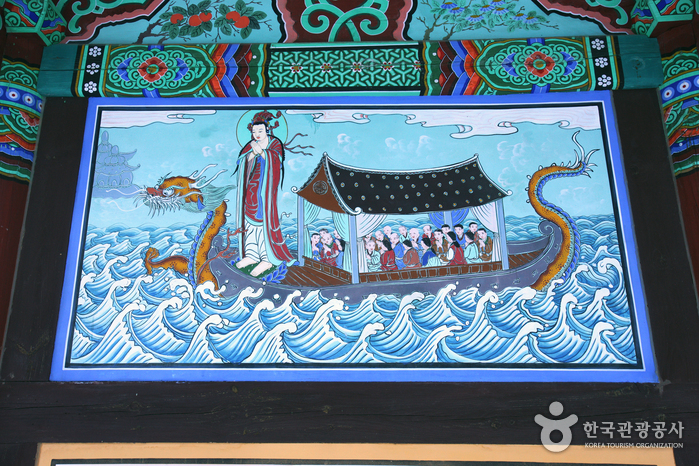 Past Myeongbujeon is Baengnyeonsa’s Sajeokbi tombstone, and the workmanship of the calligraphy carved on them are very highly regarded. 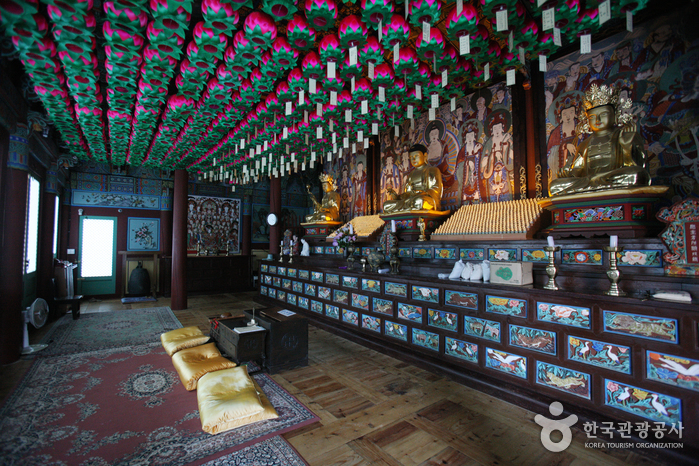 Baengnyeonsa Temple is famous for the camellia trees that surround the temple. About 1,500 trees are growing here, and in the blooming season, the entire temple become one large flower garden. The Camellia trees are designated Natural Monument, and you really would want to see them in their full glory in the spring. It is especially beautiful during the fall with the crimson leaves as well.